Mitchell Heating, LLC is a company with traditional values. While this company has been recently established in 2009, the sole proprietor, Rob Mitchell has been a local businessman for more than thirty years in Colorado Springs and the surrounding areas. Mitchell Heating is a top level provider of HVAC and sheet metal services. Rob Mitchell is a honest, hardworking, and amicable man who takes pride in providing the best service in town for the best price. His philosophy is that the customers always comes first! Whether you need AC service, repairs, a system upgrade, or are looking to install a new central air conditioning and heating system Mitchell Heating is capable and ready to satisfy your indoor comfort needs. If you’re looking for Colorado heating and cooling solutions, you’re in the right place. You need look no further than Mitchell Heating for all your heating and cooling needs. Our family-owned business prides itself on offering homes and businesses the best-quality products and superior services and repair for heating and air conditioning in the Colorado Springs and Denver area. The Best Choice in Colorado Springs! Our climate really is unique, a typical Colorado home can have the A/C on in the morning, and the furnace on by evening! Whether it be the scorching heat of summer, or those cool arctic fronts that bring below zero temperatures for days, we can help you find a solution to deal with our ‘high desert’ climate..
As a leading Pikes Peak region heating and air conditioning company, we pride ourselves on our commitment to providing customers with exceptional services at the most competitive prices. Since 1988, we have made it our mission to offer nothing but the best products to ensure our customers are completely satisfied with our services and level of commitment to them. Absolute Comfort, Inc. gets the job done right the first time, so you don't have to contact anyone else. We are a locally owned and operated Better Business Bureau accredited business, and our company is also a member of the Colorado Solar Energy Industries Association and the Pikes Peak Mechanical Contractors Association. Our technicians are more than qualified to handle any of your heating and cooling needs. We can also lower your utility bills with our selection of the high-efficiency heating and cooling products. Triton HVAC Colorado Springs Quality Heating and Cooling Service was Founded in 1997 – we’ve been providing furnace service and air conditioning service in the area ever since. 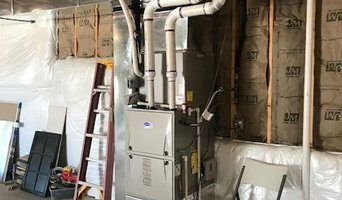 New Construction Heating & AC, Replacement & Add on Heating & a/c equipment, indoor air quality products--humidifiers, filtration systems, ductwork. HVAC Solutions, Inc. is an air conditioning & heating service serving the Colorado Springs area with the highest level of HVAC services. Whether you need to install a new system, repair an existing unit, or have questions about heating & cooling in general, we are here to help you. From professional installations to expert repair services, you can trust our fully licensed and insured technicians to provide you with the services that you need. An efficient heating system is important for maximum comfort in any home, and we will work with you for all of your heating & cooling needs. We are a full service heating and cooling company, ready to meet your home's mechanical needs. We are small family business, locally owned and operated and have over 18 years of experience and we specialize in all makes and models. Olde Towne HVAC provides the highest quality of service on all of your heating, ventilation, and air conditioning systems and guarantee that your systems are running as smoothly and efficiently as possible. L & L Heating and Air Conditioning is a family owned business with over 35 years in the HVAC business. We offer competitive pricing, same day service, never an extra "after hours" fee. We are licensed and insured. We accept all major credit cards. We have an A+ rating with the BBB. Cooper Heating & Cooling, Inc. offers comprehensive HVAC, plumbing, electrical and indoor air quality services throughout Colorado Springs, CO. Whether you need a system installed, repaired, maintained, or replaced, we can help you out. Air conditioner making you sweat? 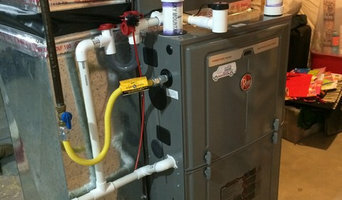 Heating system giving you the cold shoulder? Call on the HVAC specialists at Brown's Heating & Cooling for quality air conditioning and heating repair, replacement, and installation. With over 20 years serving the Colorado Springs, CO area, our company offers your family or business the best heating and cooling solutions and HVAC services, combined with a high level of customer service. We offer a wide variety of HVAC related services for both residential and commercial customers, including furnace repair, ductless air conditioning service, and central air installation. Give our team a call at (719) 597-7373 today! Custom Comfort Heating and Cooling is a locally owned & operated, full-service Colorado company that provides superior sales, service, and installation for all residential and light commercial heating & cooling solutions. Our trained technicians are experts that deliver quality, dependable, affordable solutions specific to your needs that will ensure maximum COMFORT for environment. Our knowledgeable technicians are available 24/7 for emergency repairs, to better put you first. We listen to you to find out what you need. You will work with us to design the perfect climate control system with the smallest footprint possible. We don't work to find the problems we work to find the solution. Leo’s Sewer and Drain Cleaning provides a complete line of services for all your, heating and cooling, clogged drain and plumbing needs. With over 30 years of experience, we know how to get the job done quickly and at an affordable rate. Cooper Heating & Cooling, Inc.
At Atlantic Heating and Air Conditioning Inc, we uphold the same high standards of quality, integrity and reliability that people associate with the York equipment we install. As a family owned and operated dealer, Atlantic Heating and Air Conditioning Inc, is more than just a business name–it represents our commitment to providing personalized home comfort needs to our customers in Colorado Springs and the greater area. Our reputation is as important to us as your home is to you! We are proud to be a York Certified Dealer dedicated to providing professional services to ensure that your home’s every comfort need is addressed to your satisfaction. Our free, in-home written estimates provide detailed information regarding the work you want done, equipment options, warranty information, what is included or excluded, as well as our customer’s standardized pricing. That means no hidden expenses or unwelcome surprises!! A&A Professional Cooling and Heating has over 16 years of experience in providing the best home comfort solutions to people. We are committed to our customers from start to finish, and offer continued support to ensure your home is comfortable year after year. There’s nothing worse than needing air conditioning repair for a broken unit in the middle of a Colorado Springs heat wave. Luckily, emergency air conditioning service in Colorado Springs, CO doesn’t have to be stressful — a good HVAC technician can handle any AC repair or maintenance in a timely manner. Qualified Colorado Springs, CO air conditioner repair professionals will help get your system back up and running, regardless of the issue, so you can stop sweating and stay cool.